*The Wells Fargo Outdoor Solutions® credit card is issued with Approved Credit by Wells Fargo Bank N.A., an Equal Housing Lender. Want to learn more? Complete the form below and a member of our staff will be in touch. 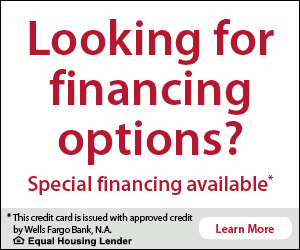 Filling out the form below is not required to apply for Wells Fargo financing.